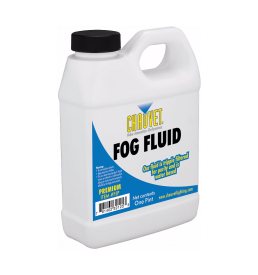 Enhance the Effect! 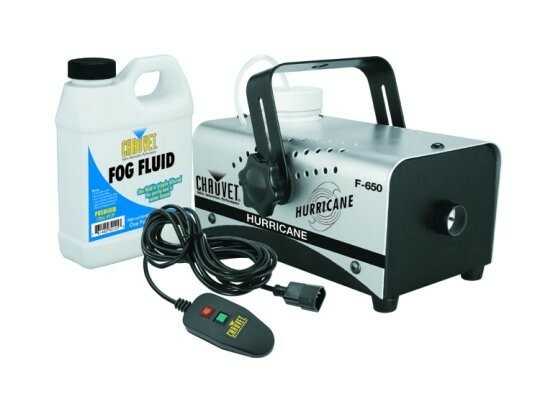 with the Hurricane F-650 Fog Machine. 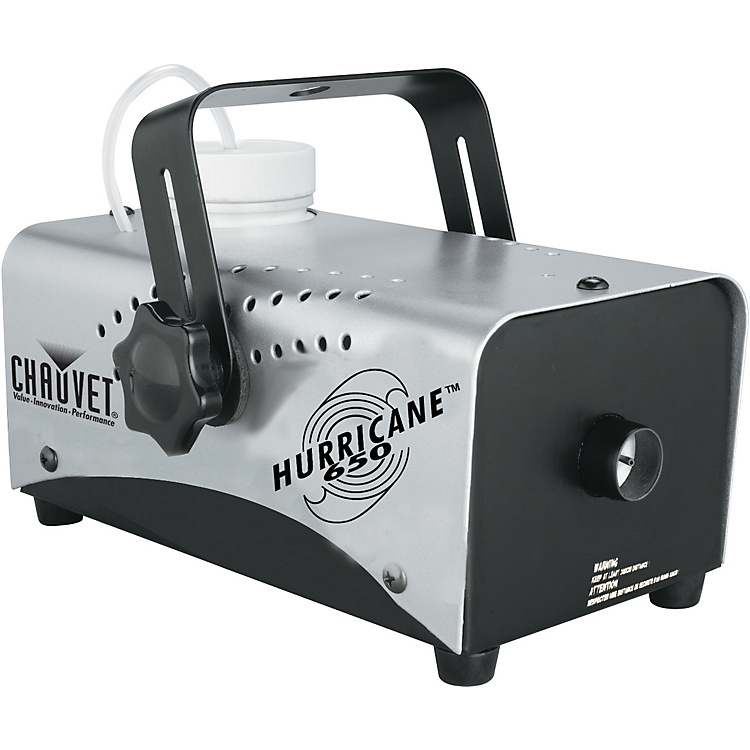 This fog machine is equipped with a 450 watt heater, has an output capacity of 1,500 cubic feet per minute, is sized 9.5″ x 5.5″ x 4.3″, runs on 110v or 230v, has a one (1) pint tank capacity and wired remote. 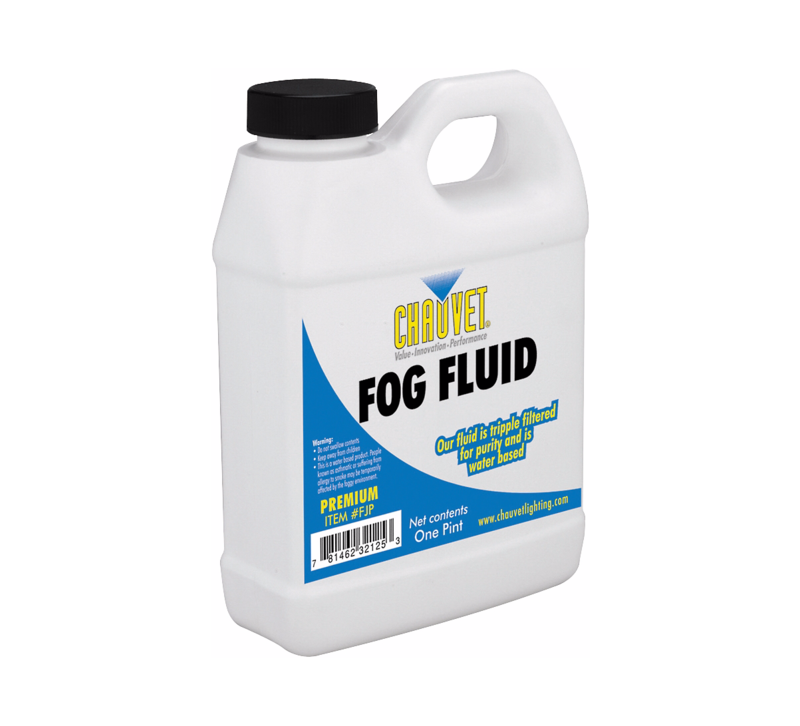 Also included with the heater is one (1) FREE pint of fog fluid.